As a result the probiotic potential from the bacterial strains of the two genera, Bifidobacterium and Lactobacillus have been utilized to the maximum extent. However, there is always the need to improve upon the existing probiotic strains from the aspect of higher resistance to extreme physiological conditions and provide their beneficial effects under specific set of health needs. From that regard these lesser known and under utilized bacterial strains can be quite beneficial as probiotics in due course of time if properly characterized and the knowledge gained about their utility through scientific research and clinical trials is spread to the industry and the consumers through the right forum. A number of such bacteria from different genera with probiotic potential have been identified till now. 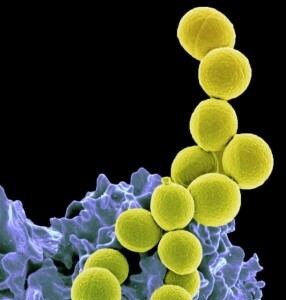 The Streptococcus salivarius are mainly known to colonize the gut of the breast fed infants. The main strain of this group of probiotic bacteria is S. salivarius K12. They are finding increased application in providing oral health benefits like the prevention of oral caries. They have been found to inhibit cases of S. pyogenes infection due to their ability to produce bacteriocins against them. In addition, the strains of this species are applied in the upregulation of immunological responses against respiratory infections. Originally known as a key microbial component in the preparation of yoghurt, Streptococcus thermophilus has been known as one of the crucial members of the LABs that have found important applications in the food industry. However, they have missed their due attention as probiotic bacteria due to the scarce study with the microbe in this field. However, the constant need for the identification of more potent probiotic strains has urged the scientific community to focus on the strains of this species. Recently, a strain CHCC3534 was identified that could produce capsular polysaccharides. Many of the strains have the ability to release bacteriocins that can inhibit the growth of the pathogenic bacteria. As a result they possess significant repertoire of probiotic characteristics that can be put to good use in human health. Leuconostoc mesenteroides has been utilized in the batter of the South Indian traditional foods like idli. Its significant application has been found from its ability to grow at low temperatures with fermentative abilities. Their role as probiotic bacteria is now being increasingly contemplated from the beneficial effects that they can render. The safety of the application of these strains is not a matter of concern as they have been used in the traditional foods. Recent studies with five strains from this species have found that they can survive well within a wide pH range of (3-8) with good growth rate besides being able to survive the bile salt concentrations of (0.15-0.3) %. These growth characteristics under adverse conditions when coupled with the health benefits that they can render as well as the safety associated with them augurs well for their application as potent probiotic strains. As already established the ability to produce SCFAs from indigestible dietary ingredients can be effectively rendered by the good probiotic strains for the benefit of human health. The Pediococcus acidlactici strains have been found to utilize the indigestible carbohydrates more efficiently with the production of increased levels of beneficial SCFAs. They also provide efficient alleviation from metabolic disorder problems. The Pediococcus pentosaceus strains are found in abundance in the human breast milk. They could efficiently resist conditions of low pH, high bile salt concentration as well as enzymes like pepsin. They have shown good passage capabilities through the stomach and colonize the gut within the hosts. The bacteriocins produced by them are able to inhibit the growth of the pathogens like Listeria monocytogenes. Therefore, they can be tried out as effective component of probiotic products. As with the other lesser known probiotic potential containing microorganisms there have been very few studies on the probiotic activity of the bacteria from the genus Lactococcus. The strains from this genus have been used as the starter cultures in many different types of dairy food products manufactured through the fermentative activities of the bacteria. Nine strains from Lactococcus lactis have been observed for their adhesive and colonizing ability in the epithelial layer of the human GI tract. Six of the strains could well adapt to the acidic conditions of the stomach during their passage and high bile salt concentrations besides being able to colonize the intestines. There have also been reports that suggest their application in the traditional fermented vegetable food products. In all, these strains could well bear additional probiotic advantages that could be exploited through their proper application. In addition to the probiotic genera described, there exist more of these lesser known useful bacteria with potent probiotic abilities. Some of those include members from the genera Propionibacterium, Sporolactobacillus, Bacillus and so on. With proper research and clinical trials these bacteria can add to the repertoire of the available probiotic strains with their specific brands of added advantages.